The idea behind having a website is to ensure a steady flow of website traffic, interact with your customers on the website, get to know their pain points and needs, build a relationship and finally sell them your product or services. Before you launch a website you have to prepare website launch checklist template, it is imperative that you register for an account in the following tools to keep a tab on the health of your website traffic and take corrective measures when required. Google Webmaster Tools is a valuable instrument for SEO. It gives data about all Important SEO aspects of a site, such as keywords, links, crawl errors, etc. 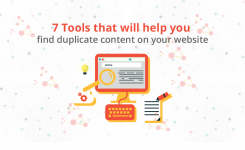 It is a toolset that allows you to communicate with Google and adjust many aspects of how Google sees your site, such as list the external and internal links to your site, adjust the crawl rate at which Google bot indexes your site, check the keywords users typed to land on your site, as well as the click-through-rate for each keyword, see your site’s statistics, and many more. In order to use Google Webmaster Tools, you need to join it first. After you join, you need to go through the verification process, so that Google knows you are the owner of the site you want to use Google Webmaster Tools on. Once you have verified your ownership and have Google code in place on your site, you can start taking advantage of Google Webmaster Tools. When you log into your Google Webmaster Tools account, the first thing you see is the Dashboard from where you can access all the major sections like Search Queries, Links to Your Site, Crawl Errors, Keywords, and Sitemaps. Clicking on any of these will open the respective section. When you’re launching a marketing campaign, social media is central without any extra expenses being incurred. You need to have a firm idea regarding what your campaign wants to achieve and how you’re going to make it to that point. The more information you can give the better because that way you can allow people to decide whether you are the company for them well in advance. -Identify the social channels where your target audience hangs out. -Solidify your brand messaging — what information will resonate with an audience with social media. 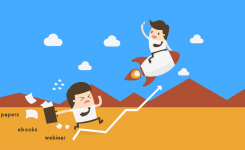 -Understand which social channels best complement your website’s conversion optimization process. Google Analytics is a very important digital marketing tool. It allows you to measure the results of individual campaigns in real-time, compare the data to previous periods, and so much more. -How your visitors found your website – this is very important for determining which of your efforts are paying off. It shows if visitors found your site directly, through a referral from another website (ex: Twitter, Facebook), or from search engines. -Web browsers used by your visitors – knowing which web browsers your visitors use allows you to know which browsers you should be focusing on. -What keywords were used by visitors in the search engines to get to your website – this is very crucial for SEO. Knowing which keywords people are searching to get to your site determines if you are on the right track. 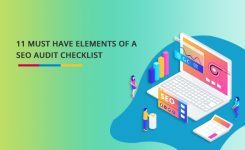 Often described as a process of altering and strengthening a website’s online relevancy, an SEO Audit typically covers important components of a website such as content-related issues, Site Architecture, indexing, backlink analysis, and social media engagement. The Importance of Blogging for your Website. Blogs are informal articles written for the purpose of showing thought leadership and expertise on a topic. 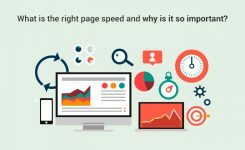 Constant monitoring of all these activities and ensuring you take the required corrective action as and when required will ensure that your website slowly moves up in the search engine rankings and start getting steady website traffic. 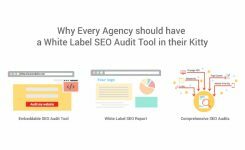 Try Growth Robotics and do the White label SEO Audit on any website with just one click. 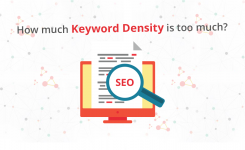 How much keyword density is too much?